Home/Shortbread/Shortbread Fingers - 6 oz box of heaven! This is the one that wins the awards for the best tasting shortbread in Scotland - light, slightly flaky, and just the right blend of buttery sweetness. 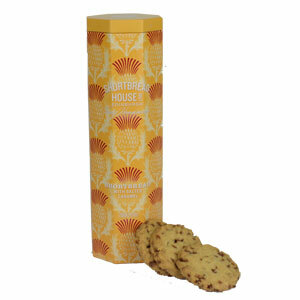 From The Shortbread House of Edinburgh, of course! Each box holds eight perfect shortbread fingers for you to savor with a cup of great tea or just as is. Some Scots add jam or lemon curd on top. Anyway you eat it, it is truly delicious. 6 oz. box. Another one of the 1000 foods to eat before you die, according to NY Times Food writer, Mimi Sheraton. Ingredients: Wheat flour, butter, sugar, rice flour, vegetable oils, and salt. 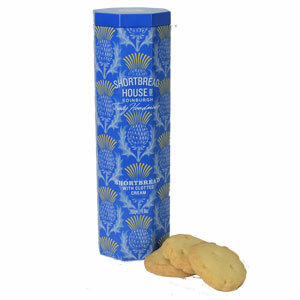 I had some of these yummy shortbreads on my visit to Ediburgh a month ago and wished I brought some home. It is the best shortbread I've ever had! It seems to have a whole grain flour texture but not dry at all! Makes a great biscuit with my evening tea! So happy I found it in your online shop! Owner Response: We agree! 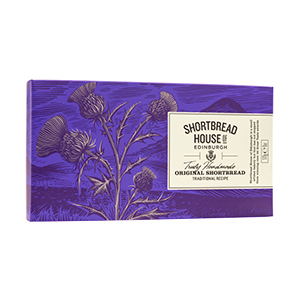 Heavenly shortbread goes well with tea any day. 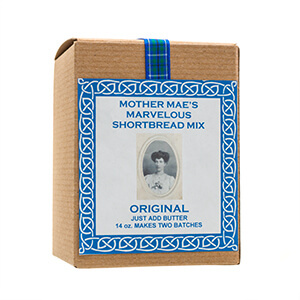 A longtime shortbread fancier, I have tried a number of brands over the years, and this is simply the best! Best shortbread ever. Crumbles in the mouth, and the taste... heaven. This size package is good to satisfy a shortbread binge. Fingers are delicious. With a dusting of sugar. Perfect for teatime or dessert. Yummy. The Scottish cookies were amazing. I will be ordering more merchandise from your company. I purchased this shortbread for my husband's birthday. He said they are the best of the best. I agree. Will order again.